It’s only facts, when you design a cake to be made for you, you expect the person doing all the baking to make it look exactly like you’ve requested. 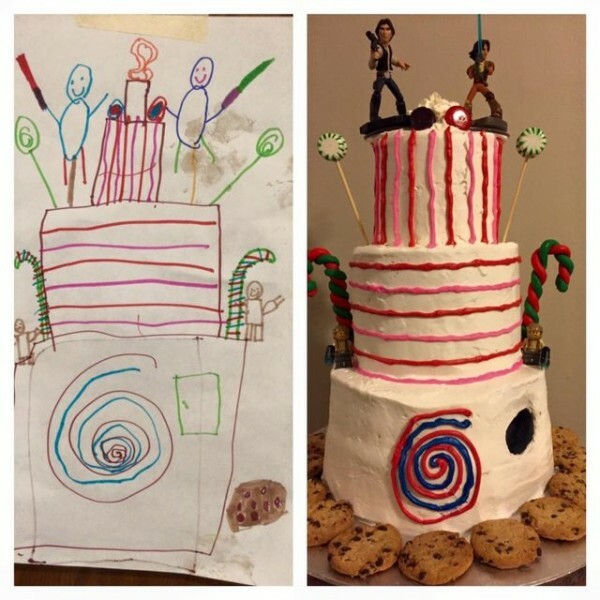 The six-year-old boy was looking to be delighted with the results of dream cake when he sketched it out on paper. The Star Wars-theme cake that obviously took a large amount of time to design as there was much detail. There were characters on the top along with candy canes, and cookies around the sides. As far as I know, the baker did a pretty good job for her client.